Post your birthday greeting to Hayley ! Hayley will be 17 in a few days' time, the 10th April to be exact! She'll be here in the US during that time. My wish is to see her after a concert and personally give Hayley the greetings from this board. Let's all wish Hayley a very Happy Birthday !!! I'll start. Hayley, you are truly a remarkable person with outstanding talent. Wishing you a Happy Birthday along with continued success in the USA and Canada. Her B-Day is indeed the 10th of April, but considering that her native land is 18 hours ahead of NY (where she'll probably be) I wouldn't be surprised if she decides to celebrate it locally on the night of Friday, the 9th, which would be afternoon Saturday, the 10th, in Christchurch. We were stunned by your wonderful concert in Bournemouth (Near Christchurch UK) last week. We were so pleased to be able to talk to you afterwards and take photographs. We are really looking forward to your next album and of course the DVD. Have a really super Birthday, relax with your family and friends and have a great time. Dear Hayley, this is to wish you the happiest of birthdays and may your day and the coming year be filled with huge success. You deserve the very best of everything for all the pleasure you bring to so many. Happy Birthday!! I hope that you have an absolutely amazing day. Congratulations on the success of the 'Pure' tour, I wish I could have seen a performance. I have heard fantastic things and I wish you all the best for your time in the USA. Once again, have a fantastic birthday and I will see you (even if you don't see me) at Hampton Court in June!! I think you have an absolutely amazing voice and my grandparents wanted me to tell you this too. They were the ones who introduced me to 'Pure' and they listen to it every day. I think it's brilliant that you have such support from such a broad audience. Keep singing, and I eagerly await a next album (?) and DVD!! To ensure that Hayley reads everyone's brithday greeting to her, we have brought them all together in one place. 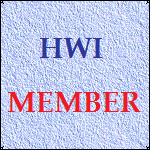 So, we have transferred the messages left here to a special greetings page at HWI. Take a look at it and see the messages left by others. It is not too late to add your greeting to Hayley. Just add it to this board and we will pick it up automatically. Keith, Simon - I've already posted my message to the HWI birthday page so please don't copy this one! The question is... when IS Hayley 17. It's now after 4 am on 10th April in NZ where she was born, so I reckon she is already 17. Even though where she is in NY it's still the 9th! So.... Happy Birthday Hayley! If the special greetings page has now been closed, perhaps its messages, one of which was from me, could be transferred back here. I'll look into that. Don't see any reason why not. This picture's worth a thousand words...or in Hayley's case 17,000 words! In response to Colin's request I have brought the birthday greeting sent in by fans for Hayley back to this thread as one complete posting. Wishing you the very happiest of birthday's Hayley. Both Shirley and I wish you the very best of times, knowing full-well that with your very special family you'll get nothing less. Have a wonderful day, next comes the BIG 18. But for now, just enjoy being 17... It's a lovely age to be, so relish every day, no, not just every day, but every second of it. This is to wish you the happiest of birthdays and may your day and the coming year be filled with huge success. You deserve the very best of everything for all the pleasure you bring to so many. I hope you're having a great time in America and that your birthday brings as much happiness to you as you bring to so many of us. I'll be thinking of you (as always). Hayley, you are truly a remarkable person with outstanding talent. Wishing you a Happy Birthday along with continued success in the USA and Canada. Our Gift to You is our gratitude for singing to us as you do. May your life feel like a Birthday every day. Happy birthday to a wonderfully sweet young lady for the 10th of April. Happy brithday have a great day.Hope you have fun. Your concert in Eastborne was fantastic. Have a brilliant 17th birthday. We were stunned by your wonderful concert in Bournemouth (Near Christchurch, UK) last week. We were so pleased to be able to talk to you afterwards and take photographs. With my daughter Emma (Amanda must wait until 19th June), I am proud to have been among the audience at Bournemouth, in the final concert of your wonderful sell-out World tour. Some may have had doubts about buying tickets for an April Fool's Day concert but the fools were those who did not! It was truly a wonderful evening, building to a crescendo when the capacity audience burst into spontaneous applause during your third encore, Wuthering Heights. May I wish you a highly successful visit to the USA and a very happy birthday! I hope that you have an absolutely amazing day. And yet another from B&M. To the girl with the God given voice ! We hope that you have a lovely day with your family and friends. We look forward to continuing to share your gift in the future. How could I miss out on the opportunity to wish you the happiest of Birthdays Hayley? My meeting you after the Manchester concert (I was the irritating one with the Camcorder!) was an absolute joy! I'm certain you'll be a global superstar by your 18th! And no-one deserves it more than you! Happy Birthday to the world's most perfect person! Your sweet and serene nature is as world class and worth preserving as your ethereal singing is. You are a singing genius, you are not vain and conceited, you conduct yourself properly and you are a true lady. You are one of the handful of celebrities alive who genuinely merit the attention they receive. When I received 'Pure' for Christmas I was too sceptical to play it until New Years Day. I was just expecting more of the usual rubbish. But the moment I heard you, I was instantly converted, and have remained so ever since. Please concentrate on classical music and please visit Scotland again. I so want to go to your concerts and maybe even meet you. Colin MacLeod (one of Hayley's biggest fans). As you celebrate your birthday here in the U. S. A., know that your loyal fans are excited about your arrival here. We all hope to see you soon in concert in our neck of the woods! May God Bless you always, and above all.. Looking forward to seeing you on TV Monday! Master Luke Skywalker, Jedi Knight and Defender of the Universe! I want to wish you a very happy birthday. Thank you for the blessing you have been to all of us through your singing. Happy Birthday! Hope you have a great day wherever you are on Saturday. We will be thinking of you. You are just amazing! We saw you at Manchester and queued to see you afterwards for autographs. It was fantastic to meet you in person. Only 17! So much ahead of you. It is beyond comprehension what you are going to achieve over the next few years. We already have our seats booked for the Brit Awards, so hopefully we will see you there, collecting at least one award, which is the minimum that you deserve! Just to wish you a very Happy Birthday from a proud New Zealander. Seeing you in the UK made me very homesick, but also made me realise just how much of an impact one person can have on the life of another. You have a beautiful voice and a beautiful soul, and I wish you all the luck over the next year. Enjoy this time in your life, but also remember that you are 17 - it only comes once in a lifetime, so do that which NZ'ers are famous for - living life, enjoying ourselves and smiling as the days go by. Have a wonderful birthday, Hayley. I'm anxiously waiting your American tour and the chance to hear your beautiful voice in person. Hope all your birthday wishes come true. Your talent has brought a whole lot of sunshine into the lives of my brothers, my sister and I and we look forward to hearing more of your special music as time goes on. I remember when Keith came back from seeing you in Llandudno last October and, when you found out I had been ill, you were so genuinely concerned and sent me your best wishes for a speedy recovery. Now it is my turn to wish a very sweet and special young lady the very happiest of birthday wishes. May your dreams all come true always. And may you enjoy great success in your career. It was my very great pleasure to meet you in Sydney and I want to say again how delighted I was to hear you perform 'Live'. In person, you are evey bit as wholesome as you seem and I can foresee a brilliant future for you. Here's to continued success, richly deserved. Good luck in America! PS: This is kind of 'spooky', but would you believe that you share the same birthday (but obviously not the same birth year!) as another of my favourite classical / opera stars - Lesley Garrett. Weird eh? Our mum met you at Blue Peter last year and got your autograph for me, she says you were really nice to talk to. Me and my brother George and little sis Efa love your singing, I cant even choose a favourite song as they're all so good. I wish Hayley all the very best for her Birthday, and can only hope that all your plans are rewarded as much as the joy and inspiration you have given us. I am sorry that this is a day late. Please forgive me. Happy Birthday to you!! I hope it was full of surprises, laughter, and fun. I hope that you have a great year and you accomplish a lot. God bless you and your family! Also Happy Easter!